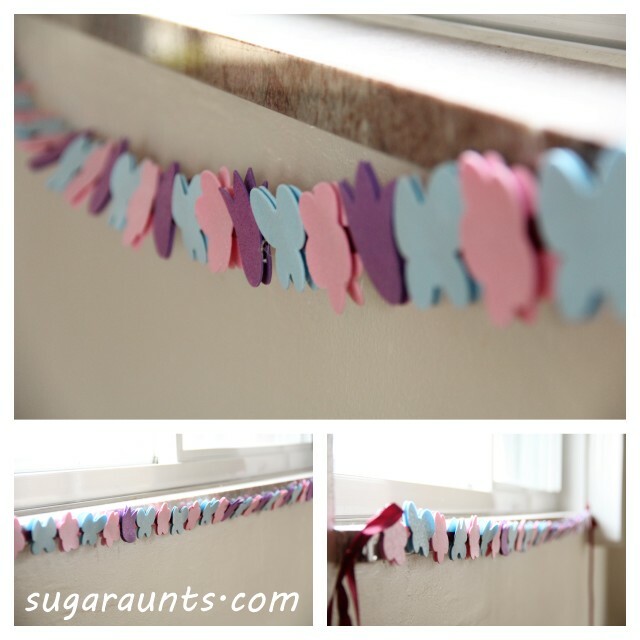 We had this Garland up for our Easter decorations and have used it in previous years, too. This was so easy to make. I got a pack of the foam table scatter at the dollar store a few years ago, but I did see it there this year, too. Use a hot glue gun to glue matches together on a long length of ribbon.